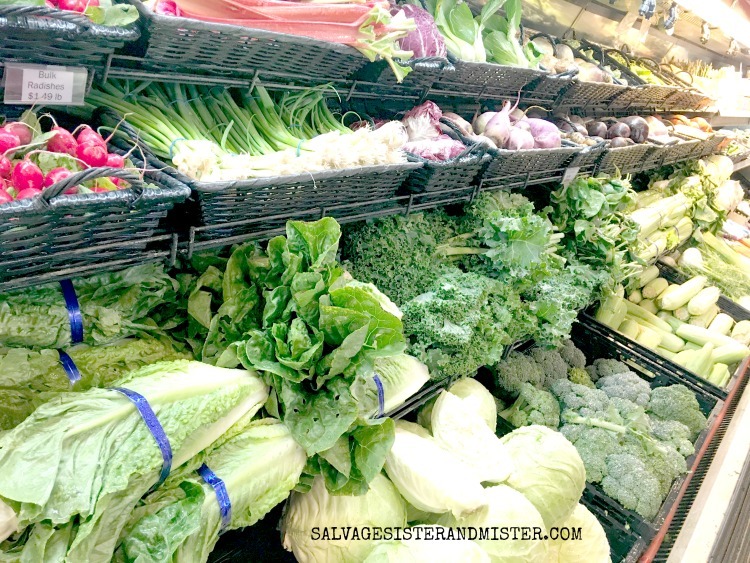 When you went to the store you piled in all the veggies, like a healthy boss that you are, and then you came home and a few didn’t get used right away. Well, we’ve all been there at one time or another. Plans change or something comes up, and the food doesn’t get used like it was suppose to. Now, meal planning is one of the best ways to reduce food waste, BUT in the meantime you’ve got some mushrooms that are about to go bad. Since you aren’t ready to chow down a whole package by yourself, AND mushrooms only last 1-2 days in the refrigerator, these babies need to be dealt with. 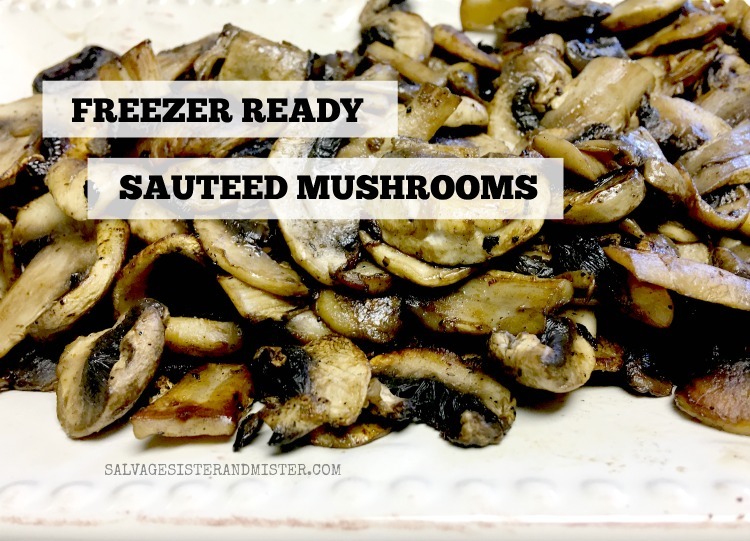 Did you know you can freeze those sauteed mushrooms? 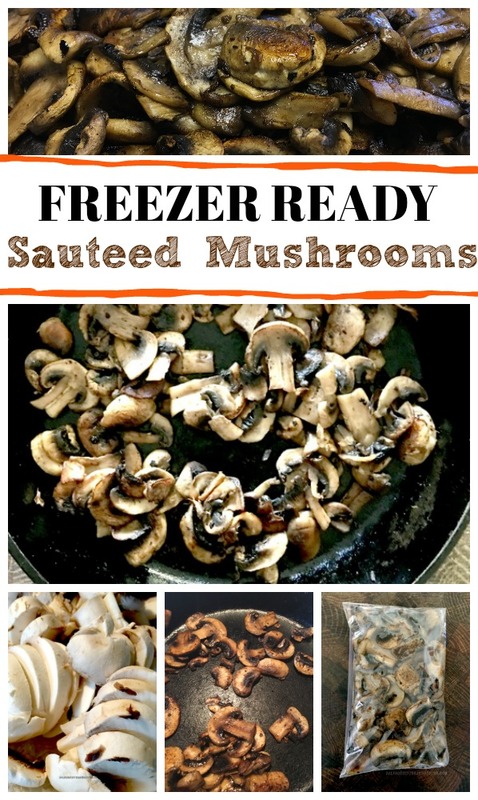 First, you may be wondering if you can just freeze the mushrooms without sauteing them. Well, not really….in my opinion. Mushrooms have such a high moisture content that doesn’t work with freezing. If you saute them first, you are removing most of the water. 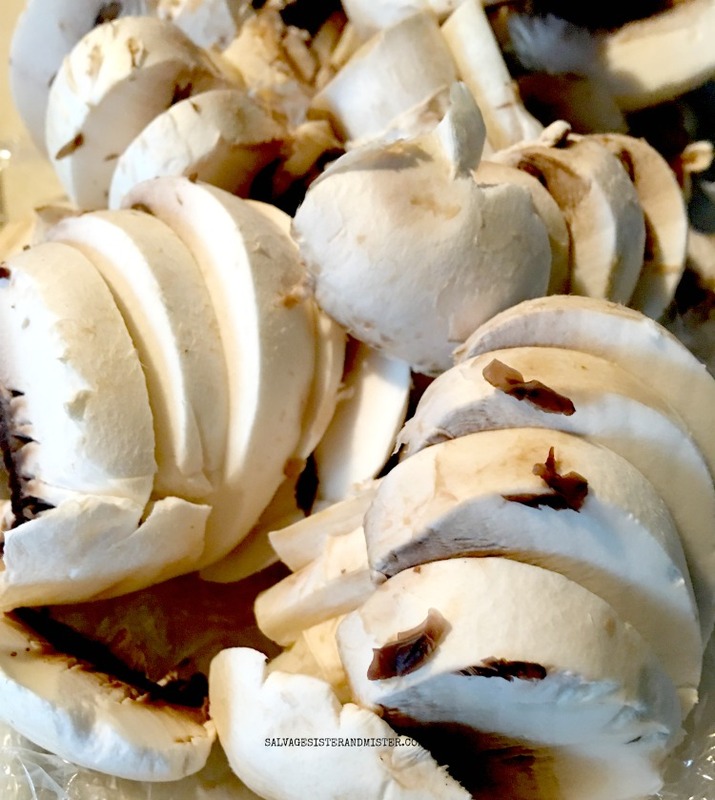 Prepare mushrooms by using a damp paper towel to clean and remove any dirt. Heat up your skillet on medium to medium high heat. Coat your pan in a thin layer of oil and/or butter. I prefer butter but a cooking olive oil would work nicely as well. And you can use both, if you like. Add your SLICED mushrooms (not whole) to the pan, once warmed up, IN ONE LAYER! This is such an important step. 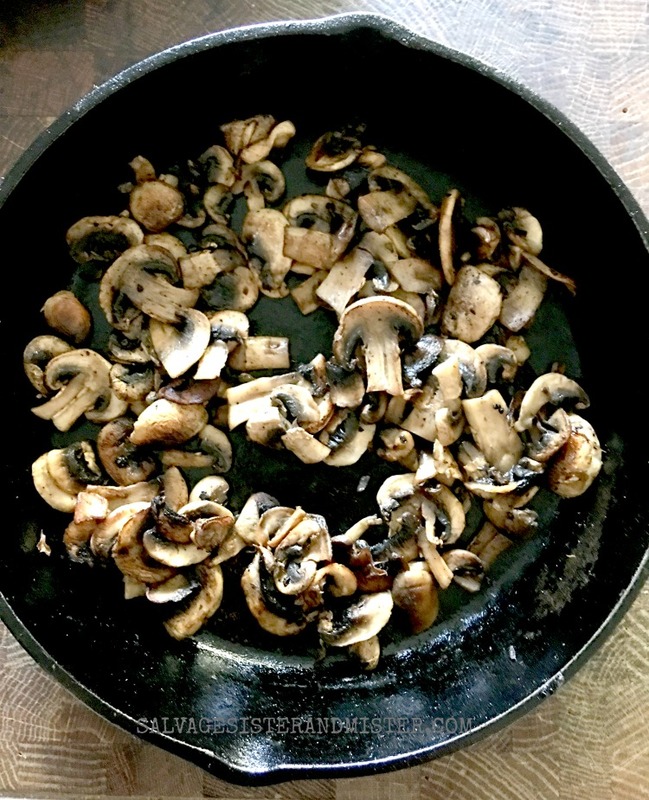 Each mushroom must be in contact with the pan to get the browning you need. Season as desired. Often I will use a seasoning salt. Cook on the one side until you get browning on the mushroom. Don’t stir until this is done. Aprox 3-5 min. After the one side is brown, you can stir, or turn, mushrooms over. Cook until tender, another 2-5 minutes. Remove from pan, onto a flat surface (plate, cookie sheet, etc) so mushrooms can cool. Repeat the process until all your mushrooms have been cooked. Once the mushrooms have cooled, you can bag them in freezer bags. Make sure to date and label the outside of the bag so you know what you have inside. 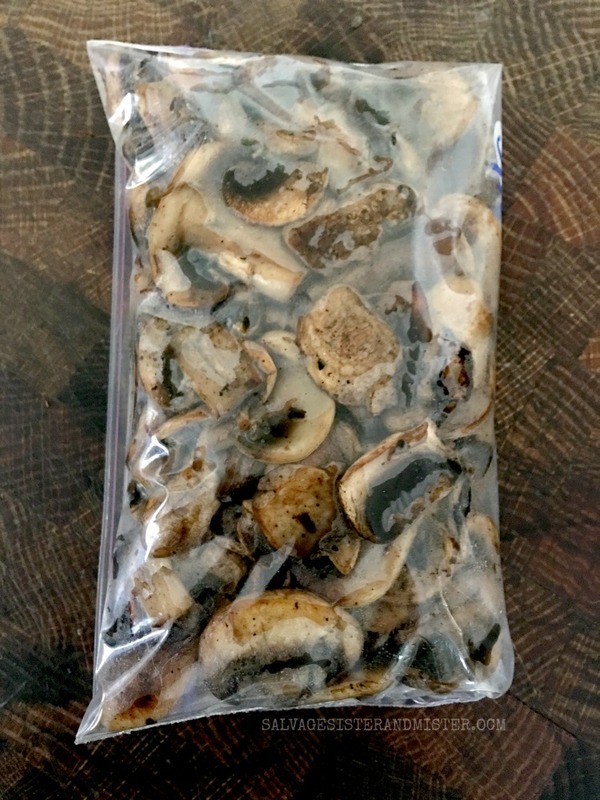 FREEZER READY SAUTEED MUSHROOM TIP– Make sure to press out all the air from your bag before sealing it up. Now, those mushrooms might have only lasted a day or two in the fridge, but now they will last up to 10-12 months in the freezer! And if your mushrooms are too far gone to eat, why not compost them? 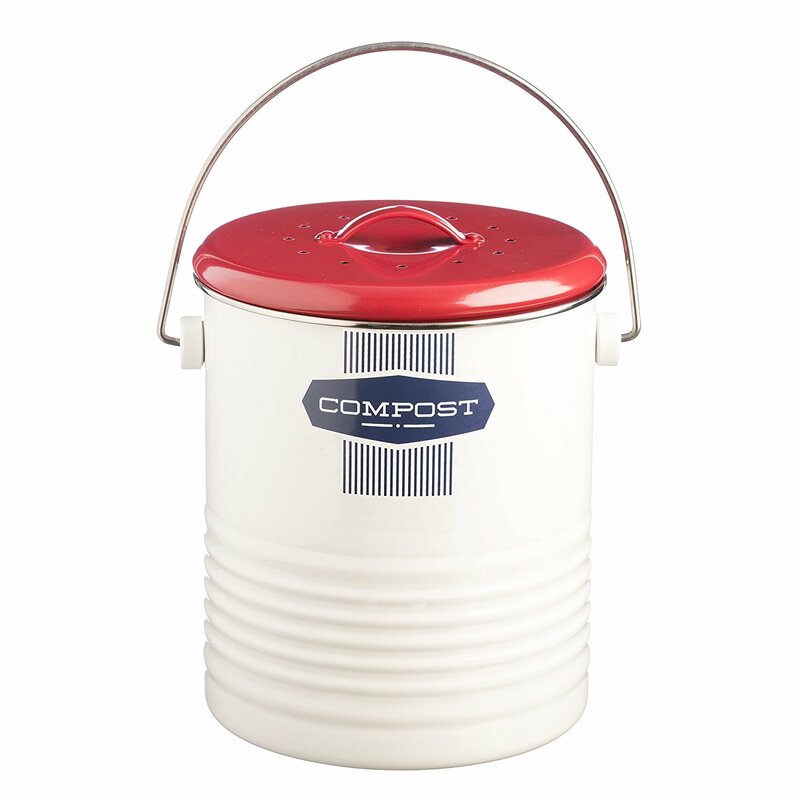 This is the little compost can we keep in the kitchen for our scraps. We want to hear from you. Do you compost already? If not, would you be interested in learning more about it?